Contact Press Technology Manufacturing, Inc. Welcome to the Press Technology & Mfg., Inc web site. 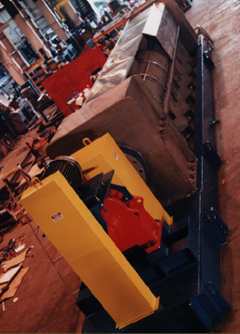 PT&M is an industry leader in manufacturing durable, cost-effective dewatering equipment. We feel confident that in a thorough comparison of alternatives, the quality and value of PT&M’s equipment will be apparent. Our goal is to maintain 100% customer satisfaction resulting in unequaled service and support. Press Technology was founded in 1992 by industry design expert Mr. George Berner P.E. who offers more than 40 years of experience in engineering, manufacturing and product development. His credits include the design and development of screw presses for several leading manufacturers of pulp & paper equipment. This web site provides information on Screw Presses, Internal Drum Thickeners and other equipment and services offered by PT&M. We have also included many photographs of equipment manufactured by PT&M in the Picture Gallery. Contact us regarding questions, more information, sample testing, or to schedule an equipment demonstration or consultation at your facility. Press Technology & Manufacturing, Inc is an industry leader in manufacturing durable, cost-effective dewatering equipment. We feel confident that in a thorough comparison of alternatives, the quality and value of PT&M’s equipment will be apparent. Our goal is to maintain 100% customer satisfaction resulting in unequaled service and support. ©2015 Press Technology & Mfg., Inc.